It will be great. It will be beautiful. A beautiful thing. Yes folks, the inauguration of Donald J Trump promises to be these things … and more. Bigly. And to mark the auspicious occasion we’ve designed this print-out-and-keep bingo card. 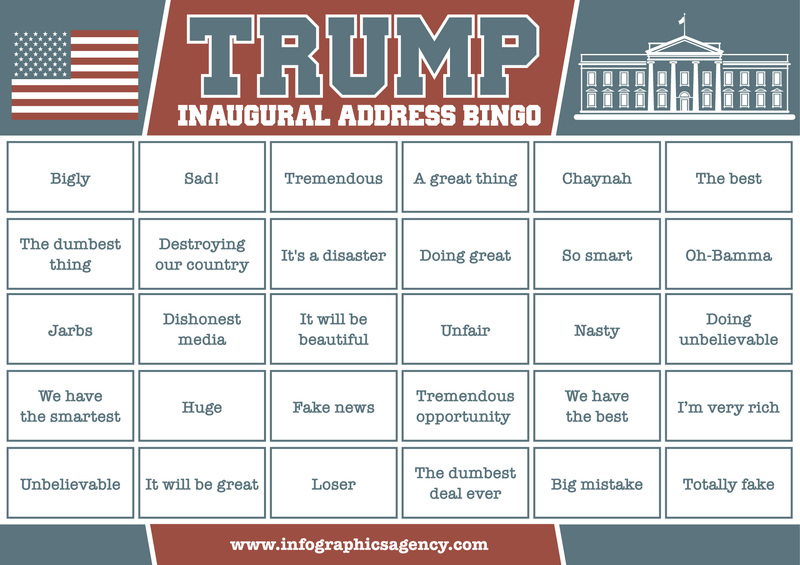 See how many Trumpisms get used in his inaugural address on January 20. Bingo cards are a tremendous opportunity to bring a bit (OK, a huge amount) of fun to any event. Talk to us about your bingo card requirements. And remember, it will be great.